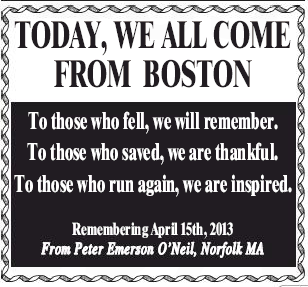 Yesterday the hardreading staff noted that one Peter Emerson O’Neil of Norfolk, MA ran this ad in the Boston Herald on the first anniversary of the Boston Marathon bombings. 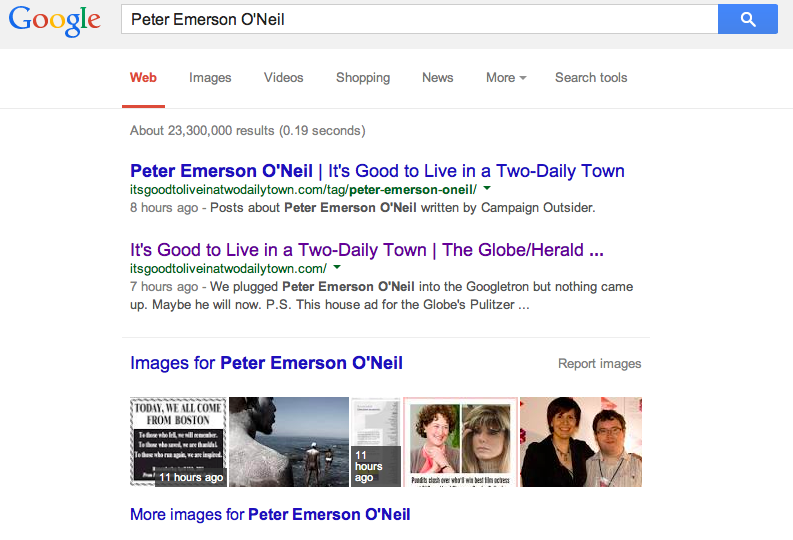 We also noted that Mr. O’Neil was nowhere to be found on the Googletron. This entry was posted on Wednesday, April 16th, 2014 at 10:25 am and is filed under Uncategorized. You can follow any responses to this entry through the RSS 2.0 feed. You can leave a response, or trackback from your own site.